Owning and operating a high-performance building is an ongoing process that requires the monitoring of building systems. This section will explain the steps you should take to ensure that your building is operating at peak performance. Once you’ve invested in an energy upgrade of your building, you want to make sure that the technologies are performing as promised. If your new lighting system is supposed to reduce your bill by 30%, how can you be sure that it did? Evaluation, monitoring, and verification (EM&V) of your new energy efficiency investment is essential to ensuring that you achieve the maximum energy savings. EM&V protocols exist to help identify which building systems is decreasing energy use so you can be sure that the investment you made is paying you back. However, measuring the energy that you don’t use is inherently difficult. Energy use fluctuates on a second-to-second basis, and even if your energy use decreases, can you be sure that it is because of the lighting upgrade, or did it decrease because it was cooler outside and your building used less air conditioning? Because there’s no way to meter how much energy you’ve saved, EM&V systems use advanced computer modeling, equipment measurements, energy bills, tenant and building operator surveys, and assumed savings for certain building equipment to generate an accurate estimate of energy saved. Submeters are electrical devices that help you measure the actual electricity consumed by a product, a system, or an entire section or floor of a building. In some buildings, submeters have helped identify improvements to reduce energy consumption by as much as 10–15 percent. 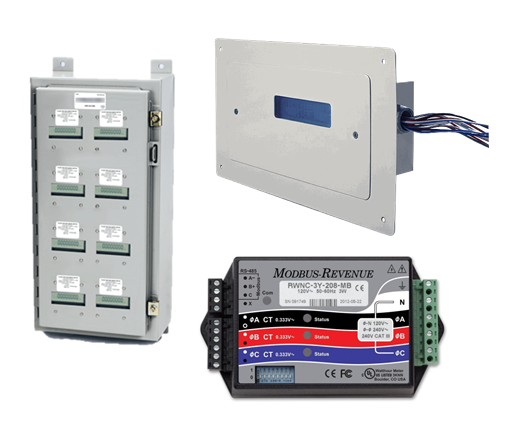 Submeters are not the same as, nor are they a replacement for, a utility meter; rather, they are designed to be placed after the utility meter to help you save energy by identifying energy waste in your facility. Whether it’s from an inefficient lighting system, or from a malfunctioning HVAC system, submeters can help you identify in how your building is functioning and can help you prioritize the building systems most in need of energy upgrades. Submeters can also monitor your building to let you know that everything is running as intended. If you’re going to invest in an energy upgrade, it makes sense to install submeters before you begin to establish a benchmark. Then, after the upgrade, the new submeter data can be compared to the benchmark data to determine total energy savings. Metering on an ongoing basis will ensure that everything is working properly and will help you measure your increased efficiency. Submeters are often paired with data logging and analysis software to help you understand the information being recorded by your submeters. Software can help you understand, and analyze the data so you can prioritize investments based on the amount of energy consumed by a specific system or section of your building. Submeters can also help you fairly allocate the cost of energy to your tenants. Remember—if you don’t measure it, you can’t manage it. Enclosed: An enclosed submeter is self-contained in a box and can sometimes be locked or sealed for security purposes. 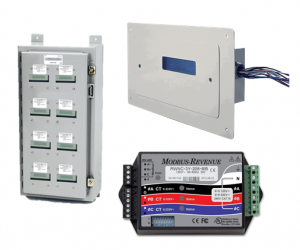 Panel-Mounted: A panel-mounted submeter is attached to an electrical panel board and measures energy consumption for one or more circuits in a building. Portable: Portable submeters are often hand-held and can be used to quickly assess the energy performance of a product or system without permanently installing a submeter. Embedded: Embedded submeters are built into the product they are intended to meter—a lighting system, for example. When an energy service company or other building professional conducts an audit of your facility, it is likely that many of the no-cost and low-cost energy conservation measures they identify will be within the realm of building commissioning. Things like sealing leaks in HVAC ducts, checking that thermostats are properly adjusted, and tuning occupancy controls for lighting and plug-load management systems to perform their function as designed are all considered building commissioning. While ongoing commissioning is a critical aspect of achieving high performance in your building, it’s also important to conduct periodic audits of your facility that give you a deeper understanding of how your building is performing and steps you can take to reduce energy waste. We recommend that you conduct a full building audit every five years, following the same steps outlined in Step 1 and Step 2.